NCIL Celebrates Black History Month 2013! You are here: Home / Uncategorized / NCIL Celebrates Black History Month 2013! February is Black History Month, the month set aside in the US and Canada to celebrate the culture and history of the African American community. This year, Black History Month is extra special because it is also the 150th anniversary of the Emancipation Proclamation. Some important Black History dates to celebrate this month are February 1, 1960, when the Greensboro sit-in was started by four North Carolina A&T College students, and February 1, 1965, when 700 people were jailed in Selma, Alabama for demanding voting rights for African Americans. Many of social justice leaders and freedom fighters were born in February, such as Rosa Parks (February 4, 1913), Alice Walker (February 9, 1944), W.E.B. DuBois (February 23, 1868) and Abraham Lincoln (February 12, 1809). President Abraham Lincoln issued the Emancipation Proclamation on January 1, 1863 during the Civil War and used it to pressure Southern states to rejoin the Union. The document was used as a legal framework to free the 4 million slaves across the nation. It was not until the passage of the 13th Amendment in 1865 that slavery became illegal in the United States. It took another 100 years to implement the laws created to provide civil and human rights for African American citizens. Even today, with the first African American President of the United States, the work of the Civil Rights Movement continues with a constant examination of racism and its effects. NCIL is committed to celebrating and acknowledging cultural competency and the cross section of disability, health, and diversity. Stan Holbrook, President and Chief Executive Officer of Three Rivers Center for Independent Living, is the Chair of the Diversity Committee, which also encompasses the Women’s Caucus and the International Committee. In his role as Chair of the Diversity Committee, Mr. Holbrook also serves on the NCIL Board and is a member of the Executive Committee. Join NCIL and the country in celebrations, observations, and events honoring the multifaceted community and African American history in the US. There is a year-long celebration of the 150th Anniversary of the Emancipation Proclamation in Washington, DC. 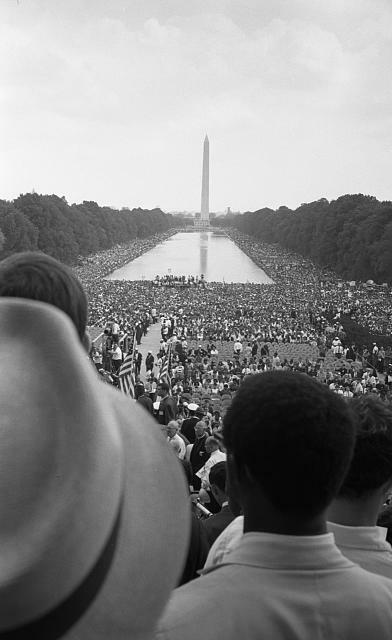 A special exhibit at the National African Art Museum titled “The Changing America: The Emancipation Proclamation, 1863, and the March on Washington, 1963” runs now through September 15, 2013! For more information on Black History Month, see the Library of Congress website.